Mech-Tool Engineering Ltd (MTE), product manufacturer and global supplier of fire, blast and heat hazard protection solutions has successfully been recognised as an approved manufacturer of CE compliant products. 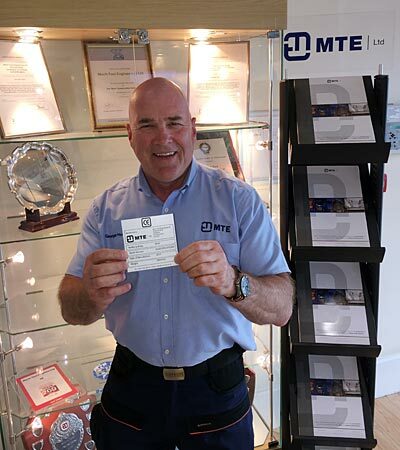 Headquartered in Darlington and with offices all over the world including Aberdeen, Houston and Korea – MTE – will now be authorised to attach CE markings to its range of globally recognised steel and aluminium protection products. Following comprehensive technical reviews at the company’s manufacturing facilities, Lloyd’s Register Quality Assurance (LRQA) – global provider of independent assessment services from certification and validation right through to verification and training – has awarded MTE with an EN1090 certification. Under the Construction Products Regulations (CRP), all structural steel and aluminium products must be CE marked when supplied within Europe. The certification – EN1090 – identifies companies that meet this standard which was established to harmonise the safety performance of construction products across the EU. “Securing this certification will open even more doors for MTE, as it will now allow us to bid for new work across Europe in markets that the business has already well established itself – including nuclear, renewable and power generation – where CE marking applies,” adds Jones. Having carved a reputation for its three business streams – design consultancy, fire and blast solutions and modular solutions – the company announced earlier this year that it has expanded its offering through launching an additional business arm, HVAC Solutions. The new business stream has significantly enhanced the company’s full turnkey modular solutions division, enabling its clients to save time and money with increased capabilities to offer all services under one roof. And the company has already secured its first order to design and build an air handling unit for a leading engineering and technology services business. And the launch of the new business stream came on the back of the company announcing it had secured its largest value contract to date worth GBP 37 million. Appointed by Wood Group Mustang and Tengizchevroil (TCO), MTE will deliver a field operations office module and twenty remote instrument enclosure modules for the TengizChevrOil Future Growth and wellhead pressure management project based in Kazakhstan. “We are delighted to have passed the audit for our EN1090 with zero Non Conformance Reports (NCR’s) and the feedback we received from the auditor was incredibly positive on how MTE manage its people and systems. The success of this certification is down to every member of the MTE team, who continually diligently comply with our comprehensive company procedures and systems of work that we have intrinsically adopted,” concludes Hodgson.